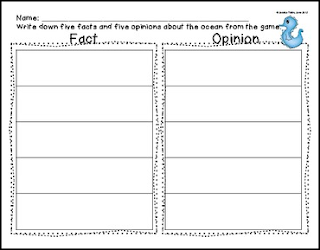 -This game includes two game boards, one for Fact and one for Opinion. 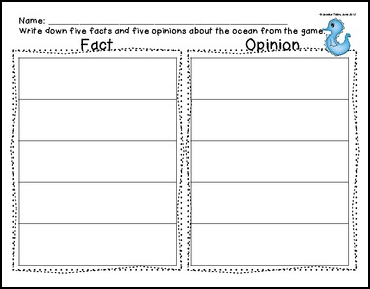 Students work in small groups in individually to figure out if the ocean sentences are fact or opinion. Students are given a recording sheet for student accountability and teacher checking purposes.